Week 2 Preseason Standouts: Trend Or Fluke? The preseason is halfway over and some standouts are emerging. As always, many of these can be written off due to the level of competition. Some players will warrant some serious consideration in fantasy, however. I think that everyone knew RG3 had some skills based on his rookie season. Injuries and possibly attitude had him all the way in the doghouse in DC. Now it appears that he will have the starting job for what could be an emerging passing game. He is certainly not starting fantasy quarterback material just yet, but he may warrant a roster spot. The Browns running game is not going to be any more impressive than it was last season, so they will likely have to pass quite a bit. Corey Coleman, Josh Gordon and Gary Barnidge give Griffin some nice looking targets, as does Duke Johnson out of the backfield. Keep an eye on this former top draft pick as he could be useful in 2016. This should not be news, but Devonta Freeman is a very good running back. I had him high in my preseason rankings and he looked the part in week 2. Great burst and a nice looking 19 yards touchdown run. Draft him with confidence. Lacy is back in shape and ready to rock. Speaking of backs not getting enough respect, here are two more. 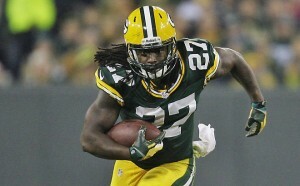 Rumors were swirling that Langford may not earn the starting job and Lacy has been a topic of debate at fantasy drafts. They are both looking strong so far this preseason. If they can keep it up and carry their performance to the games that count they look like solid RB1s. Dion Lewis needs another surgery, putting his immediate future under a cloud of doubt. This leaves the rest of the Pats backfield to pick up the slack. One player that has carried the load for multiple teams before, including the Patriots, is Blount. Look for Belichick to lean heavily on him in some weeks while Lewis is on the shelf. This bruiser is an absolute steal in fantasy drafts right now, although his ADP should start to creep up as this news becomes more widespread. Just an update after my evaluation of Garoppolo after week 1, he still looks good. Of course after week 4 this won’t matter because Brady is getting the job back no matter what. Prescott has looked like a better version of Cam Newton so far this preseason and something tells me that he would not fare so well as the starter. This is not to say that Prescott cannot be a very successful NFL quarterback, but not yet. There have not been many, but I have seen some people on social media calling for Romo to be benched for Dak. That type of sentiment is beyond premature, but in the very possible event that Romo gets hurt Prescott is an intriguing add. Matt Jones has tons of talent, but cannot seem to put it together. Be careful with him. Jones is the projected starter in Washington, but he has already coughed up a fumble and suffered an injury in the preseason. He will not play again before the regular season, leaving owners with an uneasy feeling about how he will perform. I am not ready to write him off just yet, but I would also not go out of my way to acquire his services. My advice is to let someone else deal with the Redskins backfield, but if Jones falls far enough I would not be averse to taking a slight gamble. For anyone losing their mind and saying that the Dallas backfield is going to be a committee, R-E-L-A-X. The Cowboys spent a high pick to get Ezekiel Elliott and he is going to be their workhorse back. I would not expect to see him being worked too hard in the preseason, save that for when it counts. Morris still has a nice skill set and is a good change of pace back, but barring an injury Elliott is the guy. With week 3 of preseason ball on the way, we’ll see how these topics and others shake out. This will be the closest thing to a regular season game until they start to count. Check back for more preseason analysis and draft help in the coming days. 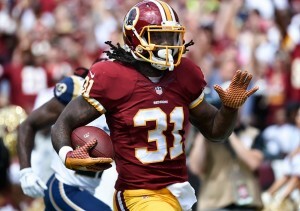 Category - Fantasy Football News and Analysis - Week 2 Preseason Standouts: Trend Or Fluke?